The Chicago Cultural Center hosted a Dance-Along Nutcracker Sunday. 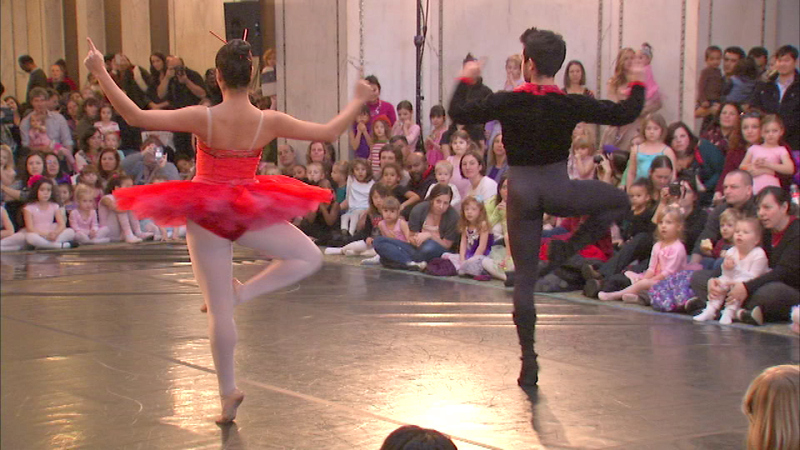 CHICAGO (WLS) -- The Chicago Cultural Center hosted a Dance-Along Nutcracker Sunday. One hour before both performances, dancers of all ages were invited to join the professionals on stage and learn some basic moves in a family version of the holiday classic. Sunday's dance-along Nutcracker was provided by Ballet Chicago.